Hi guys, this is a new Tutorial about how to enter Paltalk with more than 100 Nicknames! Many of you guys have not good connection to see my Tutorials on Youtube, so I made a Text Tutorial as well! If any problem, visit ChiNa-Cheats.com and make a topic about it! 3) Now go to Android homepage, you can find the link in the start of this thread! 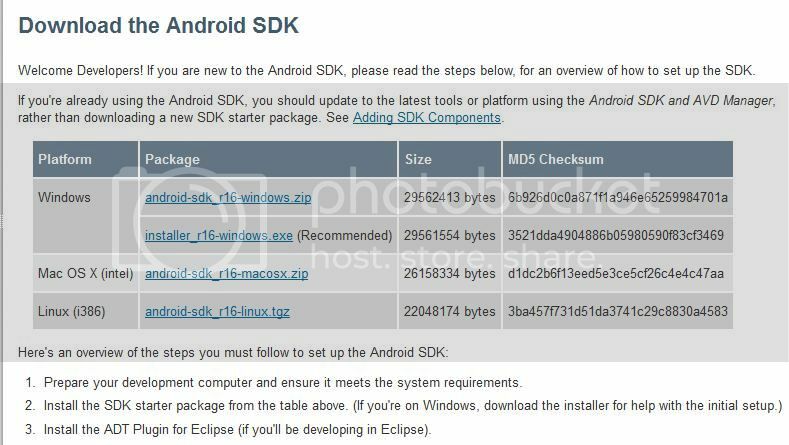 4) After download you Install the (2nd) (Android SDK Tools) ,and make sure that its done installing! 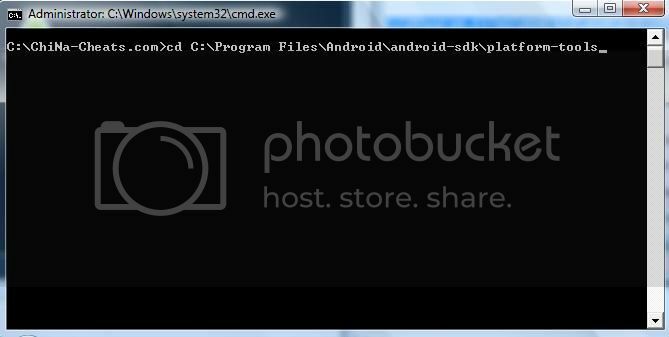 Go to the Folder where Android is Installed, in my case its in C:\Program Files\Android\android-sdk! 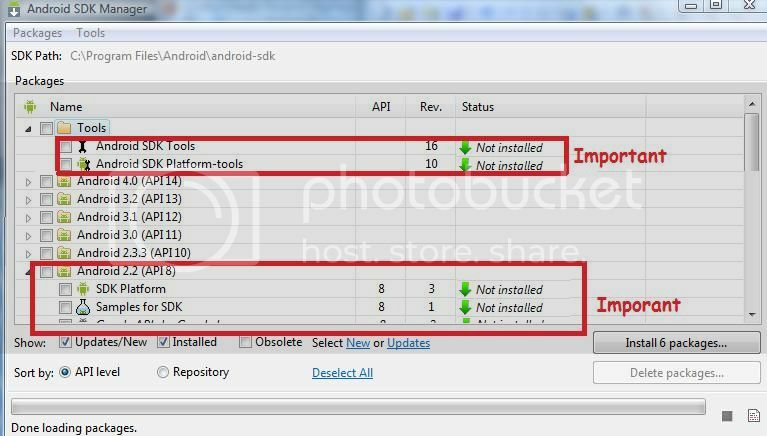 5) We must now Install Android Platform-tools which is in the SDK Manager.exe, so click on SDK Manager.exe, bcoz we are not done installing the Platform tools as a full package! 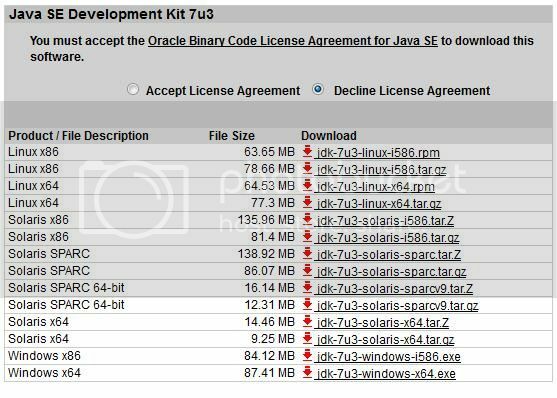 But make sure to first you have installd Java JDK! Not to remove the MARK from GOOGLE API KEY", wich cannot be seen in the image but below! U need to install that too! Showen on "Image On Top"! 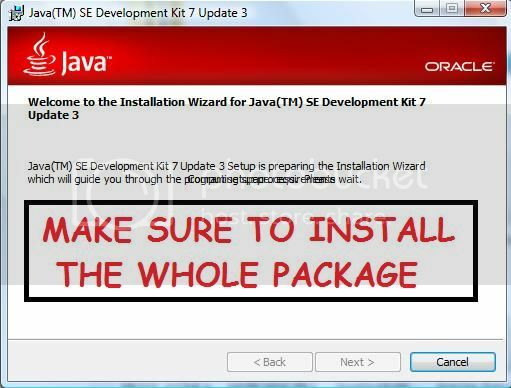 And click on "Install Packages" Below on ur right side of the BOX! It might take a few minutes, but wait, else you may not get it installed right! 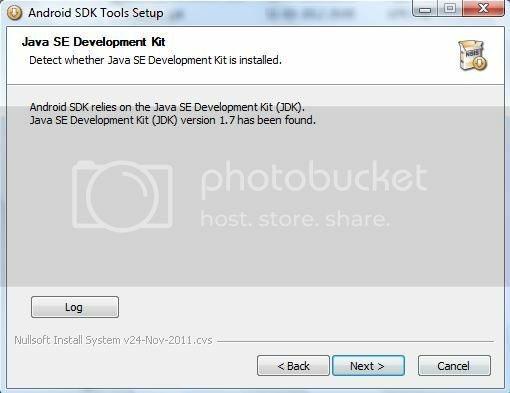 After the installed is finished, Close down the "Android SDK Manager" and Start it Again! Now you should see this on (Says Installed (SHOWEN ON THE IMAGE ON TOP)! Paltalk.apk is our Paltalk application for Android that I put in the link on top!! After download, dont rename the file so its easy to find and read! 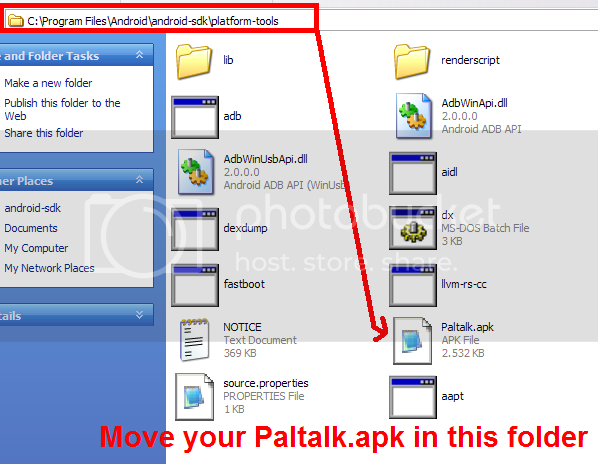 Put the Paltalk.apk file in your "Android Platform-Tools" folder, which in my case is "C:\Program Files\Android\android-sdk\platform-tools" showen on the image, and now copy the "Path" to the folder, bcoz you need it for the next step, installing the Paltalk.apk application! 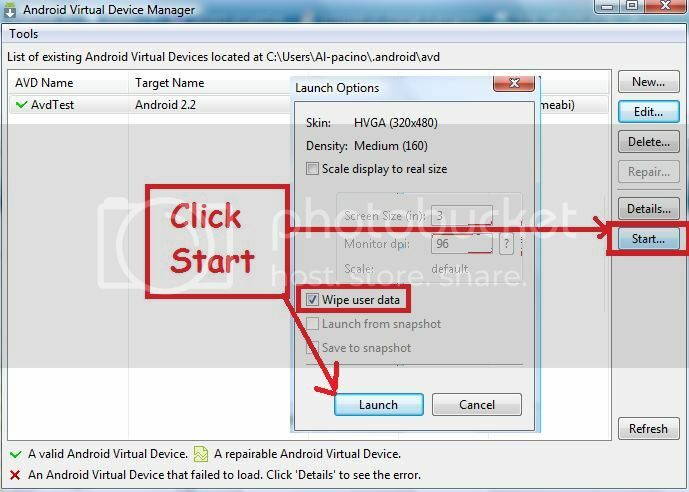 6) After its Installed go to your "Android SDK" folder which is in my case "C:\Program Files\Android\android-sdk", click and run the file called "AVD Manager.exe" and a box will show up! 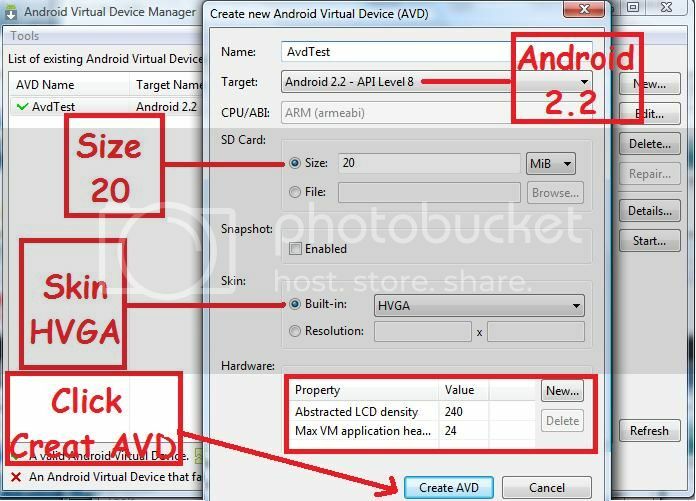 7) Click on (Creat AVD), now you should see your Android 2.2 AVD is ready! Now you can see the "Start" TAB below New, Edit, Delete, Repair, Deatails and (Start), Now click on "NEW" and Creat an AVD like showen in the image blow! This is how your OPTIONS should look like, look at the IMAGE! After you did it, Clean on CREAT, and your EMULATOR / AVD is ready for START! Now click on "START" showen as (), another BOX will pop up, in that box make a mark or (x) on "Wipe User Data" if you run for the first time, and click on "LAUNCH"! 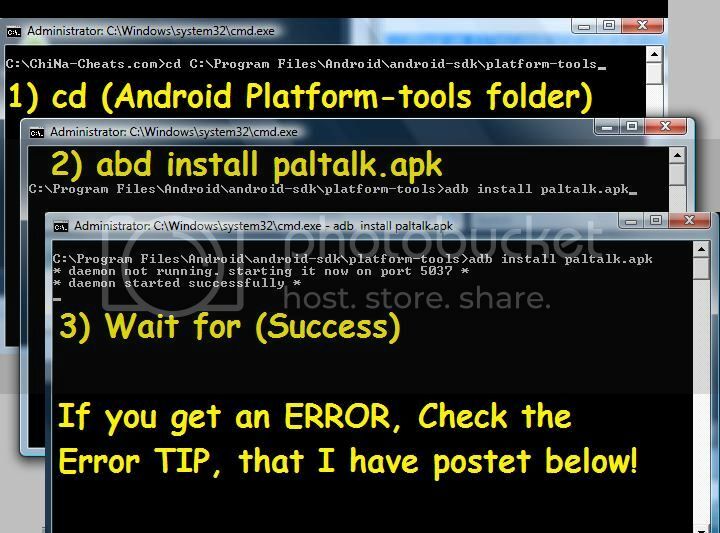 But do not MARK X when you install paltalk, Always start it without WIPING the user data! It will start much more faster for 2nd time or 3rd time use! 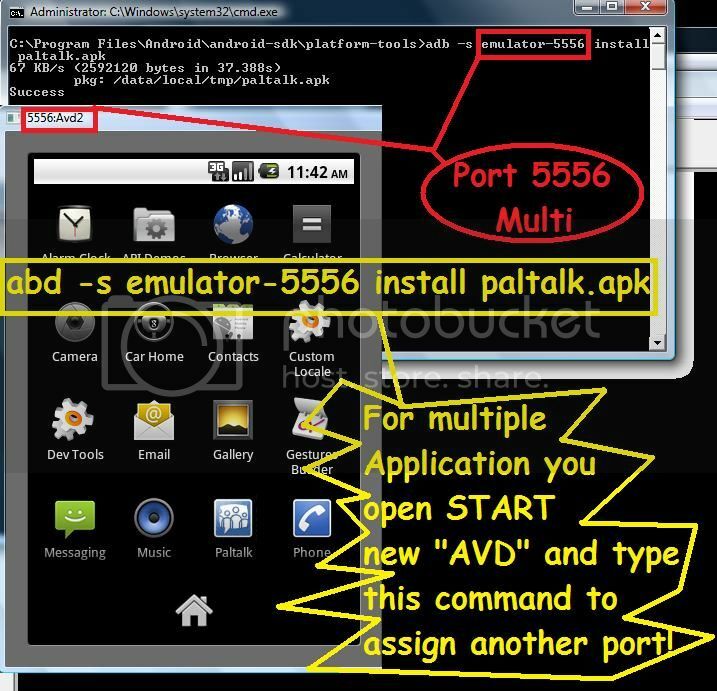 Now your Android AVD machine with Paltalk Application should start! If its your first time running it, you should wait few minutes, might take a few minutes to start! 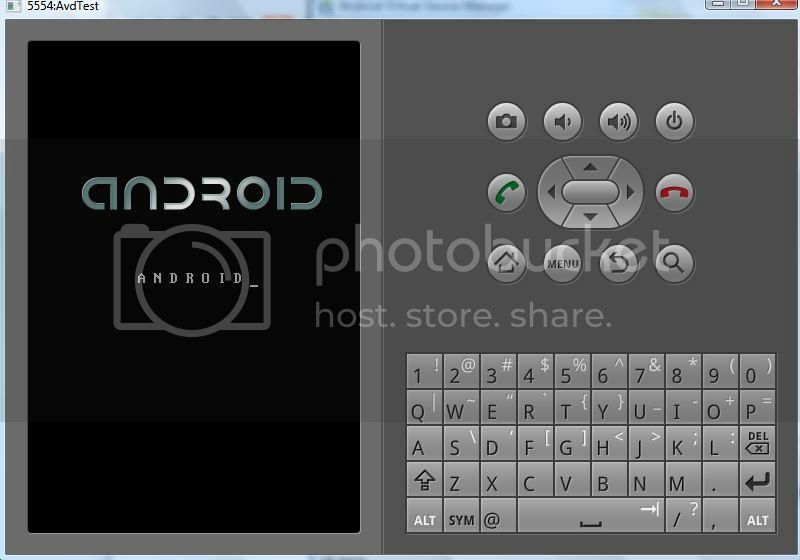 Look at, now Android AVD is starting! Now remember that your AVD ANDROID runs on port 5554 as default, its called (Serial Number) But we say PORT, to make it sound easy! Now to run more ANDROID AVD's, we must use another command that you will see later! But first need to Install the Paltalk.apk in the default box, and remember your EMULATOR MUST BE RUNNING IN THE BACKROUND, or you will get an ERROR! So always start your AVD EMULATORS, and then install paltalk! Copy the path to your Paltalk.apk file, my path is "C:\Program Files\Android\android-sdk\platform-tools", and have it ready! Now go to START in your Windows, and in the Search field, type "CMD" and hit Enter! The Command-Line box will show up, (a black-box) and now we need to Install the Paltalk.apk from there! Remember the Path to your Paltalk.apk file, like in my case "C:\Program Files\Android\android-sdk\platform-tools"! Copy it, and have it ready. The 5554 is your default PORT or (SERIAL NUMBER), make sure to ASSIGN it to thar port! You an also typ3 "adb -s emulator-5556 install Paltalk.apk" which we will use later! Now wait untill its Installed, might take a few minutes! And you should see the word SUCCED! Make sure to wait, and dont touch anything!! Now the important part is this part of our Tutorial,! you look for the PORT, your 2nd port will be 5558, 3rd 5560! TO START YOUR AVD FIRST, AND THEN INSTALL PALTALK IN IT! Keep doing this as many times as your MEMORY can keep up with it, and start an new AVD BOX, And again install another Paltalk.apk. You can have more than 100 nicknames or more in 1 room. If you have a strong memory and a good amont of RAM! was found by the moderator of ChiNa-Cheats.com Ayushpaltalk, Country India! Well done ayush, and thanks for sharing it with us! and start again, but make sure START your AVD EMULATOR first, and then Install paltalk! Dont Install Paltalk When Everything Is Closed Down! 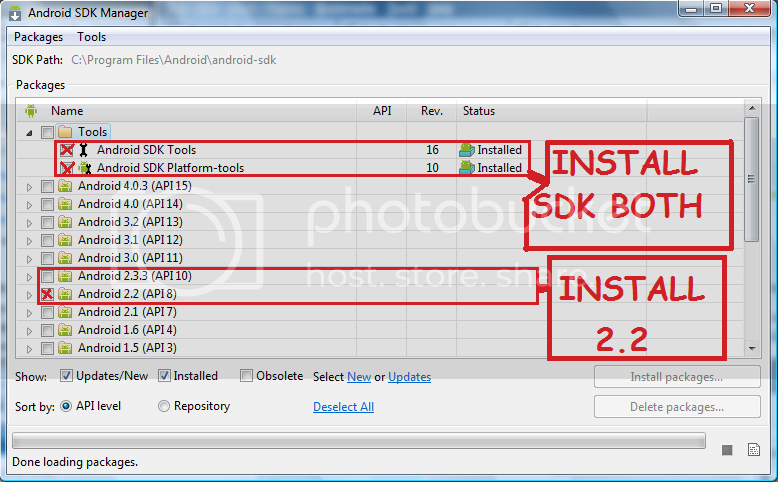 And after using these 2 commands, Try to use your ADB and Install again! I will try it, but it seems very complicated for someone like me, because i have not any experiences with such programs. Need Help I have not any program to open .apk files. You are typing "CD" and also using the command "ADB", you cant do that! 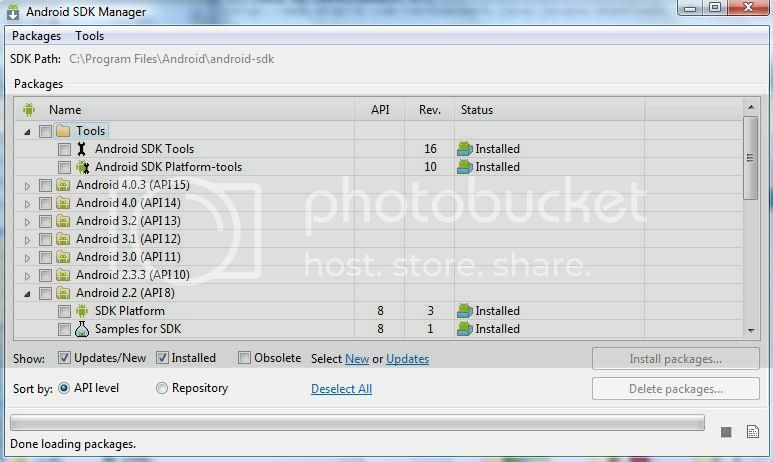 It means you are in the Platform-Tools folder, now you should use the ADB command. 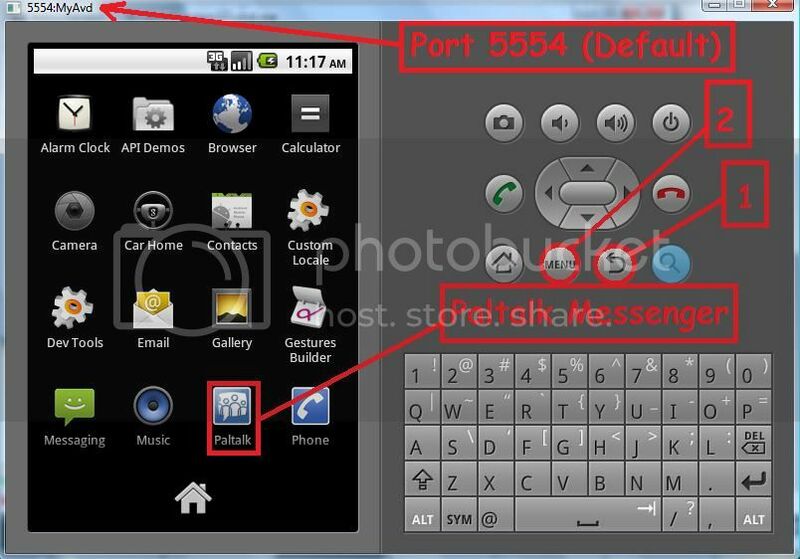 3: Type now "adb -s emulator-5554 install Paltalk.apk"
It should now install paltalk! Make sure change the 5554 (Serial Number) every time you START a new box, you can see the (Serial Number) as it showes at the top right corner in the IMAGE below says "5554:AVD" !